Culture and Tourism Minister Nabi Avcı delivered a speech at the opening ceremony of "Tourism Week" organized at the Eti Archaeology Museum in Eskişehir and attended by Governor Azmi Çelik and AK Party Eskişehir deputy Emine Nur Günay where he elaborated on wedding tourism in Turkey stating that Indians come to Antalya to hold their wedding ceremonies. Minister Avcı said that Tourism Week was organized under the auspices of increasing public awareness of tourism across the country and across all segments of society, stressing that activities organized in the scope of the event have made significant contributions to strengthening the tourism industry and raising environmental and ecological awareness, especially among young people and children. Noting that Turkey has made significant strides in tourism over the past 15 years, Minister Avcı informed that Turkey is currently the sixth largest tourism destination in the world compared to 2002 figures. "You know our [Turkish] nation always has a principle, an intention and efforts to enter the top 10 in all areas. Fortunately, we have achieved this goal in the tourism sector." Recalling that Turkey has covered serious distance in terms of the growth of its coastal and maritime tourism industry; especially with the initiatives of the late Turgut Özal in the 1980s, Avcı highlighted that Turkey is not just composed of sea, sand and the sun but has great potential in other areas of tourism, as well. Suggesting that sea, sand and sun tourism involves the Russian, German and British markets, Avcı said that as of today there are 1.2 billion people travelling around the world as tourists. "This will increase gradually. There are many big markets that we need to reach; including Japan, China, India, the Middle East, North Africa and Latin America. These markets remain untouched for us; however, we know that these markets have more potential than merely sea, sand and sun," the minister noted. Stating that Indians invented a new type of tourism with the "destination wedding" concept, Minister Avcı noted that the number of Indians who travel to Alanya district of Antalya province to marry is on the rise, adding that the Ministry anticipates 250 Indian travel agency representatives to be invited to Muğla by the end of October. "With the support of the Culture and Tourism Ministry, Muğla's infrastructure in terms of destination wedding hosting capabilities, will be displayed to tourists," Avcı said, suggesting that 18 million Indians are financially capable of spending money on tourism comparable to that of Europeans and that they are looking for a place to travel. Regarding Arab tourism, Avcı stated that Arabs are particularly fond of winter and gastronomic tourism as well as the food and drink culture of the region. Avcı also said that they recently increased their efforts to promote publicity, recalling that last week they invited Secretary General and Assistant Secretary of the Arab Tourism Organization in Eskişehir and introduced them to Eskişehir, Kızılinler, discussing the potential growth in Kızılinler as well as opportunities in thermal tourism, Sakarbaşı, Kütahya and Afyonkarahisar. He also underlined that there is no reason that Turkey could not become one of the top-three countries in the world, urging that the country should promote its potential in a variety of areas including winter tourism, skiing, the medical industry, international fairs and events, adventure, youth and thermal spa tourism, through proper facilitation of such plans. 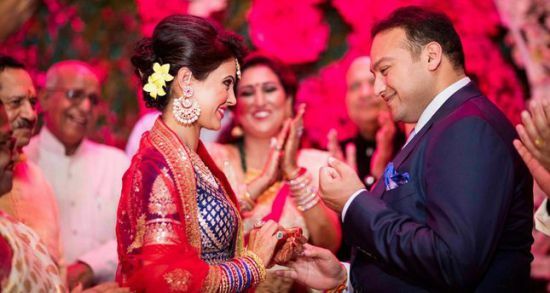 As Daily Sabah previously reported, nearly 10,000 Indian wedding ceremonies are held abroad each year and tourism professionals in Antalya aim to attract wedding tourists from India where nearly 10 million wedding ceremonies are held every year, potentially allowing Antalya to grasp a nearly $40 billion share of the global wedding market. According to West Mediterranean Development Agency (BAKA) Secretary-General Mehmet Sırrı Özen, the cost of all Indian weddings held abroad per year vary between $1 billion and $20 billion, adding that Turkey's tourism sector aims to hold at least 20 Indian weddings in Antalya annually. The agency also conducts focused studies regarding wedding tourism in India. Wedding tourism has become increasingly popular for couples both in Turkey and around the world in recent years. The major obstacle facing Antalya's wedding tourism industry is the lack of direct flights to the city due to restrictions by foreign airlines. Organization consulting companies, which have been conducting research and development (R&D) studies on the Indian market since 2013, introduced Antalya's opportunities to many companies that provide ideas about destination weddings to companies in the Far East, Sri Lanka and Dubai. As a result of these efforts, Indian companies started to introduce Antalya as a strong, new wedding destination via their websites where they informed Indians about the city. As such, Indians have started to regard Antalya as an alternative wedding destination. Özen previously noted that 90 percent of tourists visit Turkey for sea, sand and sun during the summer season under normal circumstances. He also stressed that tourism alternatives must be diversified. "India, which has a $40-billion share in the global wedding market, can be considered a virgin market for Turkey," he said. Stressing that the people of India do not have adequate knowledge about Antalya to prioritize the city as a wedding destination, Özen said they would prioritize the promotion of the city. As tourism representatives plan to host Indian wedding agents in Antalya in May for business talks, they also want Indian movies to be filmed in the city in the upcoming period to diversify tourism alternatives for the people of India.